Parkinson’s disease is usually associated with shakes and awkward movements, but back pain and other pains in muscles and joints can be a common symptom. Parkinson’s disease is a degenerative disease of the nervous system, and affects around one person in 500. It is more common in people over 50, and affects one in ten people over 80, but can affect younger people too – the actor Michael J Fox developed Parkinson’s disease at the age of 30. In Parkinson’s disease, the cells in the brain that control movement begin to degenerate and do not produce enough dopamine. Dopamine is a neurotransmitter (a chemical that carries messages between nerve cells and from nerves to muscles). One of the most obvious symptoms of Parkinson’s disease is tremor (shaking or trembling), as well as slowness of movement (bradykinesia) and muscle rigidity, cramping or spasms (dystonia). People may also experience pain, tiredness, sweating and constipation. Another symptom is depression. 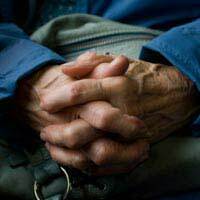 Muscle and joint pain in Parkinson’s disease is common – some studies suggest that around 50% of people with Parkinson’s disease also have pain, but a paper published in the medical journal ‘Pain’ showed that this figure could be as high as 83%. A study in Germany in 2007 showed that 74% of the people with Parkinson’s disease assessed had back pain, and suggested that they did not receive enough treatment for this pain. Musculoskeletal pain – a dull pain in the joints and muscles, caused by cramps, spasms and tightness in the muscles. Radicular pain – a shooting pain down the legs and arms, caused by a trapped nerve. People may also experience numbness or a burning feeling. This is also known as sciatica. Dyskinetic pain – a dull or cramping pain associated with the involuntary muscle spasms and movements caused by the Parkinson’s disease, especially as Parkinson’s medications begin to wear off. Dyskinetic pain may make radicular pain worse. This pain and the involuntary movements may disturb sleep. The muscle cramps and spasms in Parkinson’s disease can encourage poor posture, which then makes back pain worse. Pain in Parkinson’s disease may also be caused by untreated depression. As with many types of back pain, exercise can improve posture, free up muscles and help back pain and other pain associated with Parkinson’s disease, including pain caused by trapped nerves. The slow and rhythmic movements of tai chi can help with the pain associated with Parkinson’s disease, as well as improving muscle function, reducing the number of falls, and improving mobility. Over the counter painkillers such as paracetamol or non-steroidal anti-inflammatory drugs (NSAIDs), including ibuprofen, may help, but these should only be taken with the advice of a doc tor, nurse or pharmacists, especially in combination with other drugs for Parkinson’s disease. If the pain is caused by or worsened by depression, antidepressants may help. Changing the medication for Parkinson’s disease may improve the control of the disease and therefore improve the pain, but changes to any prescribed treatments should only be made after taking a doctor’s advice.